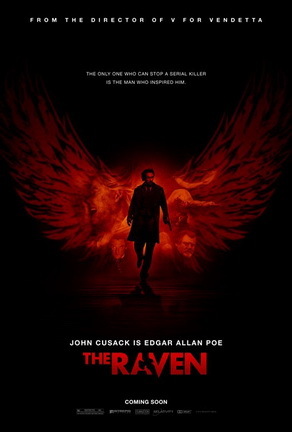 John Cusack stars as Edgar Allen Poe in the last few days of his life in the murder mystery with horror elements. It's not exactly horror, but it has it's moments. Of course this is a completely fictionalized account of Poe's last days and a murderer that is using his poems and stories to act out some grisly murders. There are some issues with the movie from a historical perspective; the first that jumped out at me was a newspaper talking about a "Serial Killer" a term that was still 130 years away from being invented. There are twists and turns and Cusack is great. The movie did feel slow in some spots, but overall I rather enjoyed it. I am not 100% sure it was horror though. I always thought this was inspired very a good novel indeed. The Poe Shadow by Matthew Pearl. the plot is a little different, but close enough places to have me think about it.